Red Lodge Rentals manages "Beartooth Montana Getaway." A condo on Red Lodge Mountain Golf Course for those of us who want a clean easy space to relax, unwind, kick back and do nothing. Bring a few friends, toss your bags in the corner, open a bottle of Cabernet and jump into the hot tub. Scramble some eggs in the morning and hit hard with golf, skiing, shopping or any one of the numerous recreational activities Red Lodge, MT has to offer. Grab dinner and head back to your condo, jump into your hot tub and in the morning start all over again! It was hard to find upon arrival because of not having the unit number listed. We were pleased with the space, appreciated the ample supply of linens and bedding, and definitely enjoyed the hot tub. 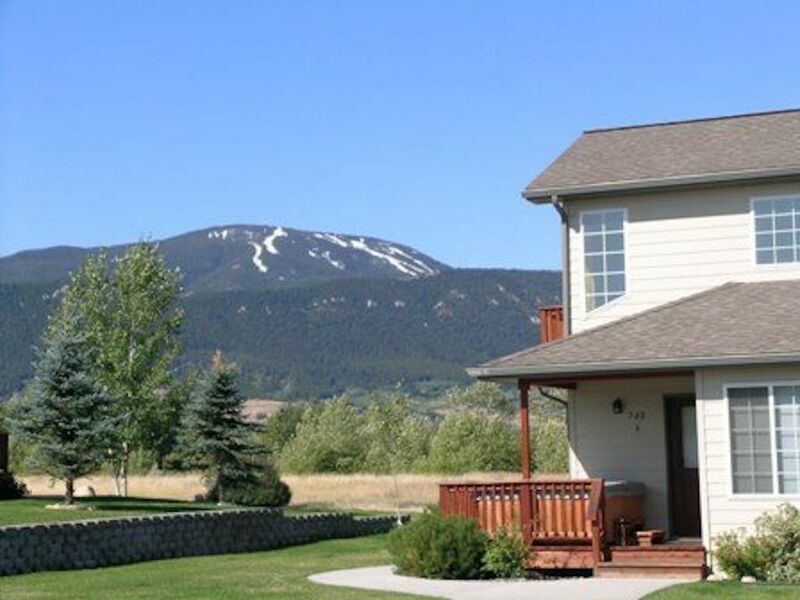 The Beartooth Montana Getaway Condo was in a wonderful location and perfect for 2 couples traveling together. The condo had everything in the kitchen that we could possibly need. We enjoyed exploring the area near to Red Lodge, especially the Bear Tooth Highway and the Chief Joseph Scenic Highway. The only problem we had was that we were told that the door would be un-locked upon arrival, but unfortunately it was not. Staff responded very quickly and came down to open up for us. Fully equipped clean VRBO. Highly recommend! Thank you for your review! We are glad you enjoyed your stay! The house was very clean. Beds were extremely comfortable. The proximity to the ski resort was absolutely fabulous. It was great being close to town. I would definitely stay here again. The ease of checking in and out fantastic ! We stayed at the Beartooth Montana Getaway for a weekend of relaxation and skiing. It was 2 adults and 4 children. We were amazed at how clean it was and ready for us to just be at our home away from home. There was definitely enough room for all of us. Loved the decor. Hot tub was comfortable and clean. We would definitely recommend staying here. The view was amazing as well in a nice quiet location!